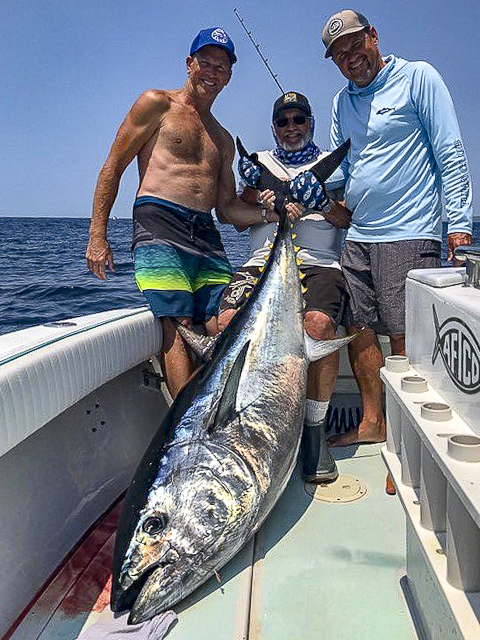 For more than a century the Tuna Club of Avalon has established itself a haven for ethical angling, spawning an impressive list of accomplished anglers in search of the challenges only found in big game sportfishing. It was officially founded June 15, 1898 by biologist, author and sportsman, Charles Frederick Holder and friends prompted by Holder’s June 1, 1898 historic catch of a 183-pound bluefin tuna after a four-hour struggle with rod and reel. 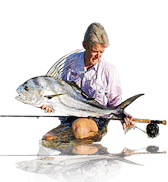 He used a 7 1/2-foot rod, equipped with a “knuckle-buster” reel filled with 600-feet of 21-thread linen line and a leader made of piano wire. “It was this capture and the unsportsmanlike conditions of fishing on the island which caused me to suggest the organization of the Tuna Club. Consequently, Holder formed the Tuna Club, establishing the first rules for big game sportfishing in the world. As equipment evolved, the catch got bigger. A 251-pound bluefin tuna reeled in by Col. Clinton P. Morehouse in 1899 remains a linen-line record to this day. In 1901, one other bluefin weighing 216-pounds on 24-thread line was caught by the wife of a Tuna Club member, Mrs. E. N. Dickerson. 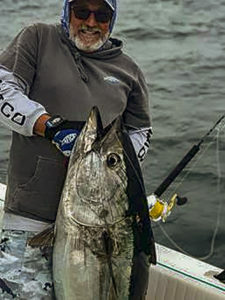 (According to Tuna Club Historian, Michael Farrior (https://www.bdoutdoors.com/michael-farrior-a-collectors-collector/) it was considered proper etiquette for a married woman to refer to herself by her husband’s name). It was early 1900s. 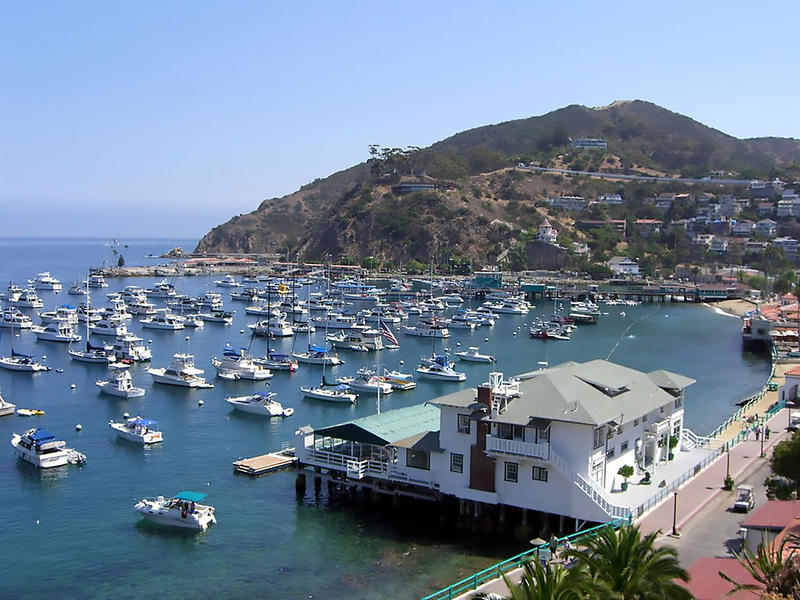 The first marlin were landed and some giant sea bass topped 400-pounds. The waters surrounding the Island were teeming with marine life which attracted a trickle of eager sports fishermen from afar to the Island. There were no yellowfin or bigeye tuna caught when the Club was founded and the big tuna all but disappeared around 1904. In 1905 yellowfin arrived in vast numbers and no one knew what they were, only that they were much smaller. They were identified as yellowfin by ichthyologists. It was soon after, in 1908, that the Tuna Club built its first clubhouse. 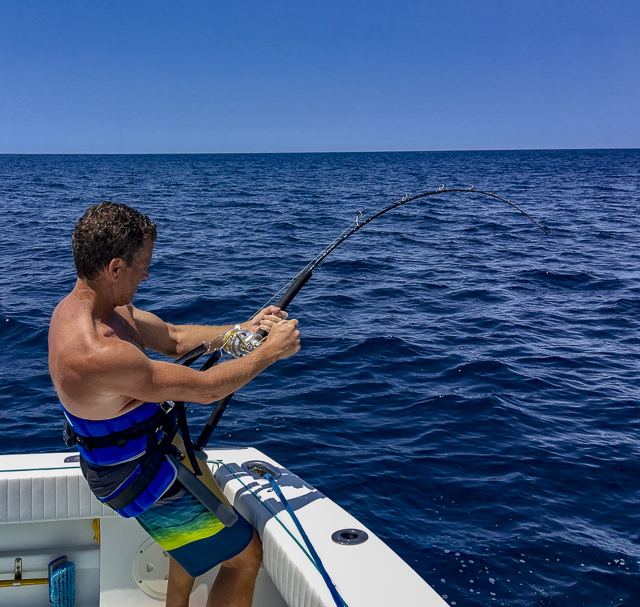 As news of the fantastic fishing reverberated throughout the rapidly-growing big-game sportfishing community, the trickle grew to a torrent during the summer months. 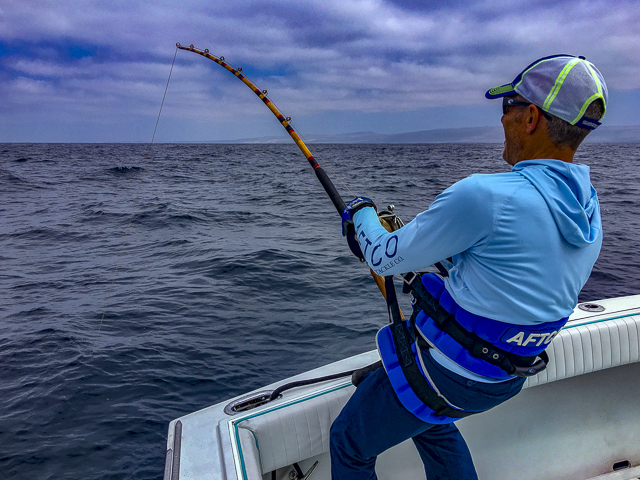 Anglers came from around the world to pit their skills while honing their techniques and fine-tuning the tackle used to subdue the giant bluefin and billfish as well as other local species. Over the years the bluefin established themselves as formidable adversaries that were only sporadic visitors to the waters off Avalon. Often, they failed to make an appearance for several years; then conditions became favorable again. In the past 120 years there have been many years when they have not appeared at all. 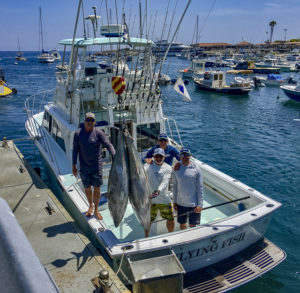 To put degree of difficulty into perspective, according to Tuna Club records, from 1900-2015 the number of yellowfin, bluefin or bigeye tuna caught per year averaged 64, with an average weight of 37-pounds on both dacron and linen line. The first synthetic fishing lines were developed by Du Pont in the 1950’s using polyester fibers and were marketed under the name of Dacron. The new line was proven to be an alternative to the linen that had set the standard, and in 1966, under Bill Pigg’s presidency, due to quality linen lines being out of production, the Tuna Club added Dacron to the list of approved lines. As an aside, Bill Pigg held the IGFA World Record for marlin caught on both 3-thread and 6-thread linen as well as the Tuna Club’s first striped marlin on 12-pound dacron, according to Historian and vintage fishing tackle expert Michael Farrior. 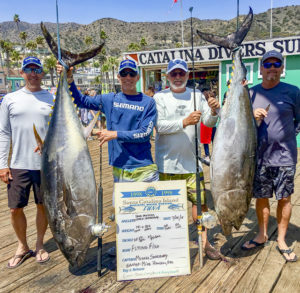 When the bluefin were discovered nearly 200-miles south at Guadalupe Island on Baja’s west coast, the Tuna Club Board of Directors in 1969 voted to expand the Club’s boundaries to include those waters for bluefin only. 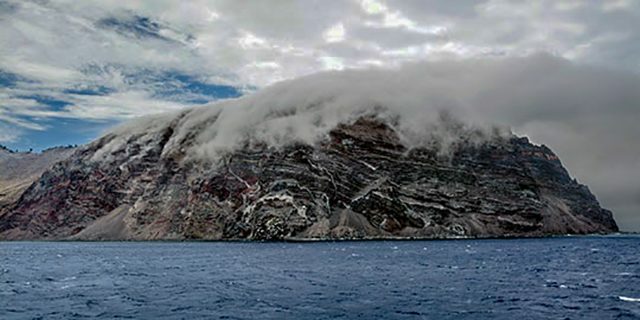 This allowed Club members the option of traveling to Guadalupe Island in search of the elusive bluefin tuna that often preferred the conditions there as opposed to the southern California waters. Greg Stotesbury with one caught using a kite and live mackerel. 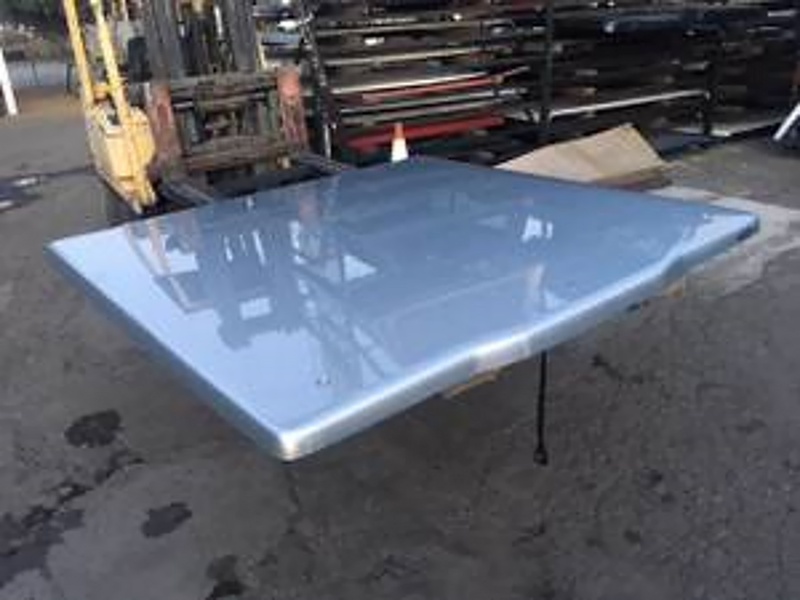 The past few years have brought a resurgence of large bluefin tuna to the southern California waters which has been an incentive for an elite group of TC Members to attempt to qualify for the highly sought-after Tuna buttons awarded for catches on both linen and dacron. However, some members have elected to attempt to recreate history by using authentic antique tackle as well. Team “Flying Fish,” with Tuna Club members Greg Stotesbury, Steve Behrens, Dave Pfeiffer, Dr. Mike Hansen and “Flying Fish” captain and Greg’s brother Michael Stotesbury, decided early this season when the large bluefin began to dominate the catch that they would fine-tune their tuna tactics using non-TC tackle — Braided Power Pro 80-pound line on shorter tuna-style rods and Shimano 2-speed Talica reels. Their first trip on June 23, resulted in four fish from 40- to 90-pounds using a kite and live mackerel. 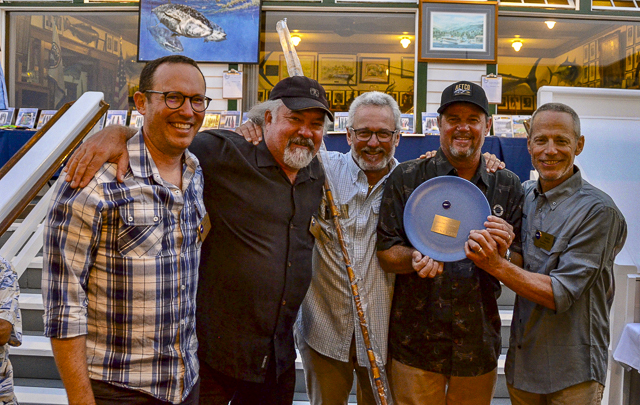 They continued their trips with their own version of “Tuna Wars” until later in July, racking up an impressive score of bluefin — a 258, 250, 234, 225 and several 100- to 175-pounders — inviting friends, Dave Elm, Aaron Grose, Don Butts and brother Dean Stotesbury to join in the fun. 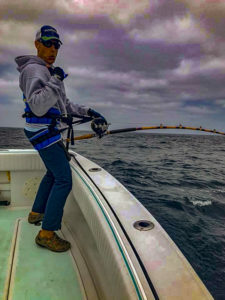 As they swapped out the tackle on their boat, satisfied that they could overcome the obstacles and challenges that were sure to come, the team then began their pursuit of the monster bluefin, armed with 50-pound Dacron. 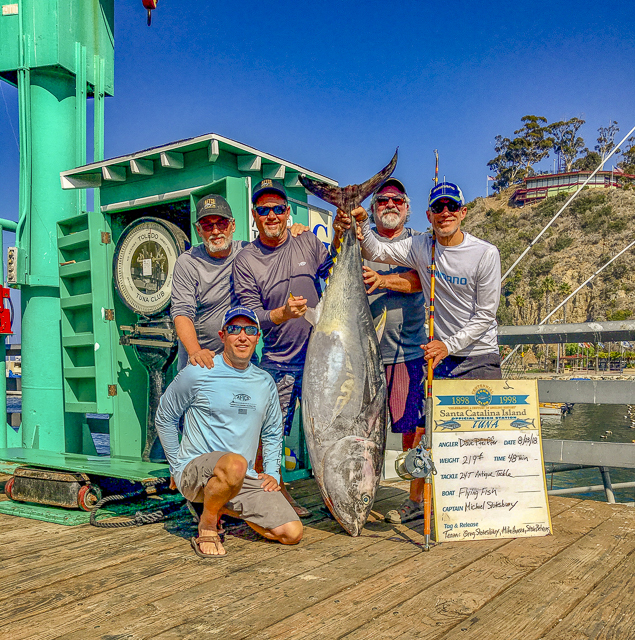 In one of those “careful what you wish for” moments, a huge bluefin exploded on Pfeiffer’s rig as the awe-struck crew erupted in cheers of exhilaration. Pfeiffer struggled to hang on during the initial blistering run. Then fish and angler settled in to the give and take of the battle. Team members whispered encouragement and gave advice as minutes became hours. Exultation was followed by exasperation and the hours continued to pass. Slightly over seven hours after the tug of war began, the 191-pound giant was brought on board, energy depleted! 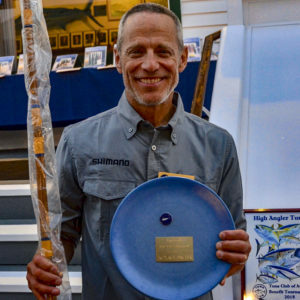 Pfeiffer’s tenacity, bolstered by his team’s determination and support, had overcome the challenges of fighting a giant bluefin! Exhausted but victorious, the team was back on the grounds the following day. 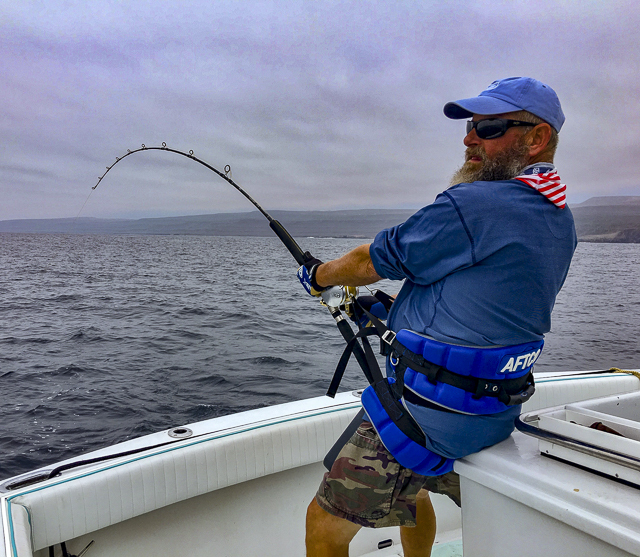 Team member, Greg Stotesbury, armed with his 80-pound dacron outfit was eager to confront his own monster on regulation Tuna Club tackle. sounded. 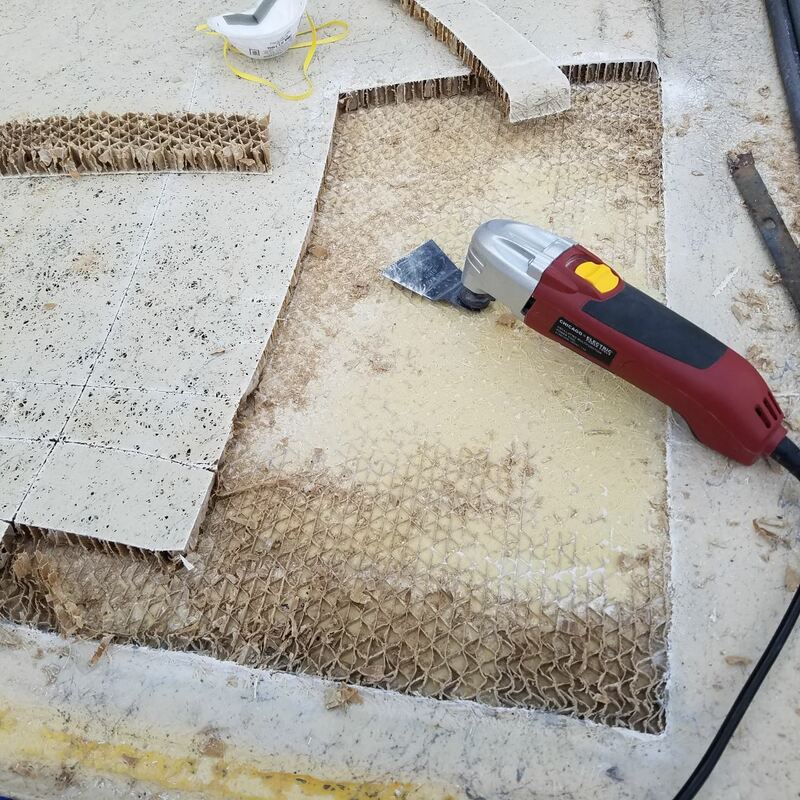 Capitalizing on the knowledge gained the day before on Pfeiffer’s fish, combined with the different day/different fish situation, Stotesbury had his 184-pound cookie-cutter tuna on its side next to the boat in an hour and ten minutes. 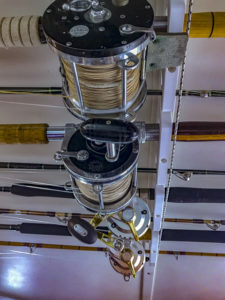 The Avalon Tuna Club’s annual Linen One tournament is an event that encourages members and guests to compete using pre-1940 rods made of wood or bamboo along with reels loaded with 6-, 9-, or 24-thread linen lines (testing 18-, 27- and 72 pounds, respectively). “From collecting old tackle, I had the reel and rod, and the line which was the hardest part. Last year we fished “Linen One” and we managed to bait a swordfish with the same outfit. It didn’t bite, but the attempt itself was a thrill! I was so excited even without a bite,” Pfeiffer confided. 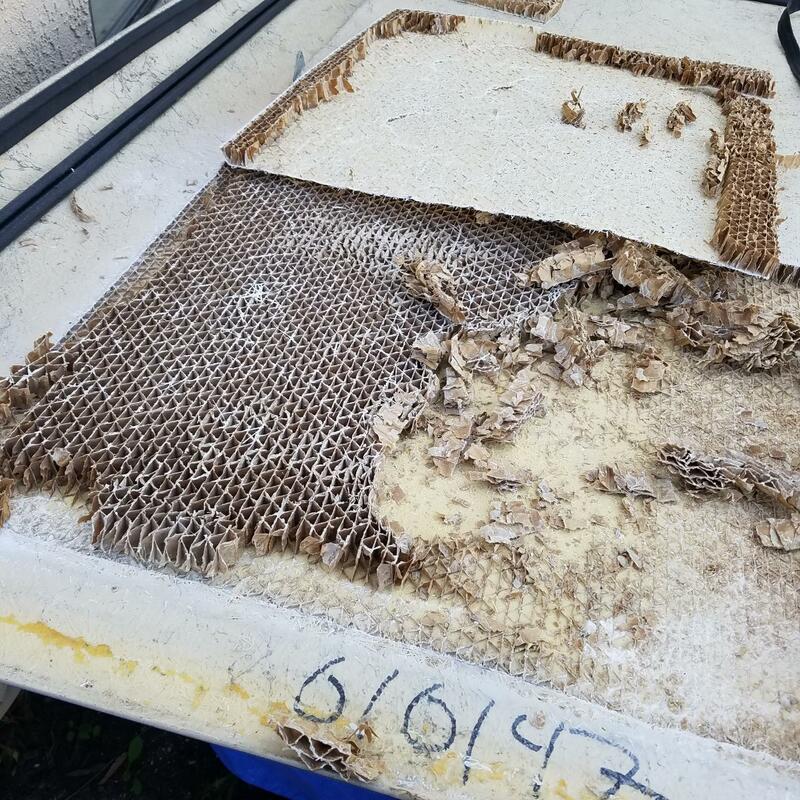 So, the night before the Linen One they ran all the way to San Clemente to catch flying fish to use as bait; unfortunately, they only caught two pieces, and both died before they arrived on the grounds. 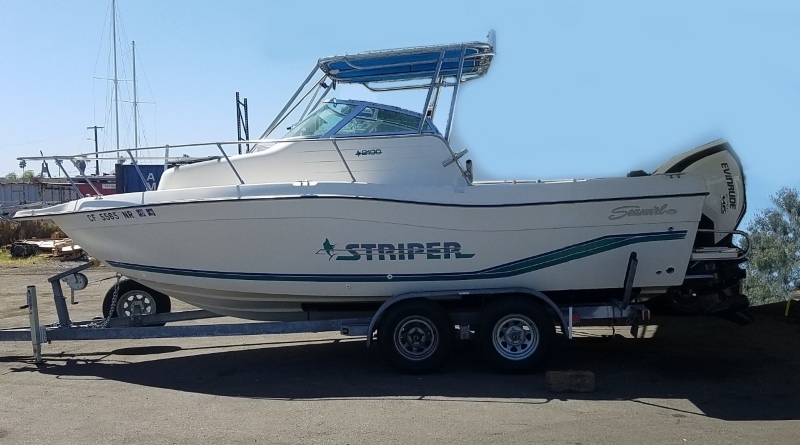 It was only seconds later that Pfeiffer bellowed over the idling engine noise, “I’m bit!” and he anxiously backed off the drag as the 24-thread disappeared beneath the surface of the wake. 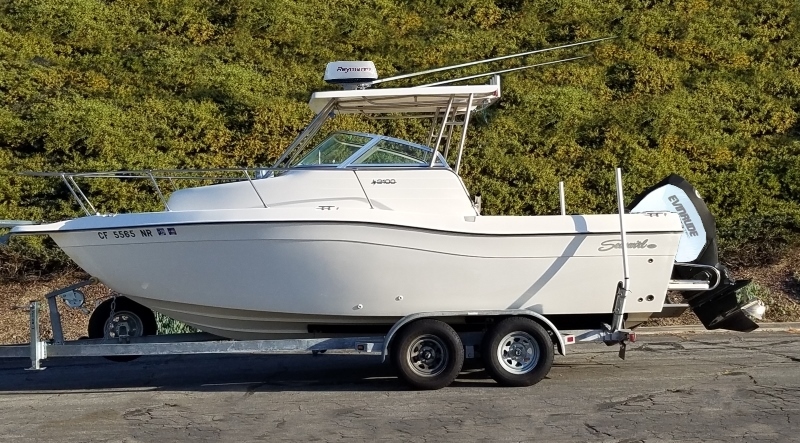 After the bluefin’s initial blistering surface run with the “Flying Fish” in hot pursuit, the fish sounded before settling into a holding pattern. Then Pfeiffer began the physically demanding “pump and grind” to haul the monster up from the depths. After which, the “gain a little-lose less” battle continued as the angler exerted all the pressure he dared on the 62-year old linen line. 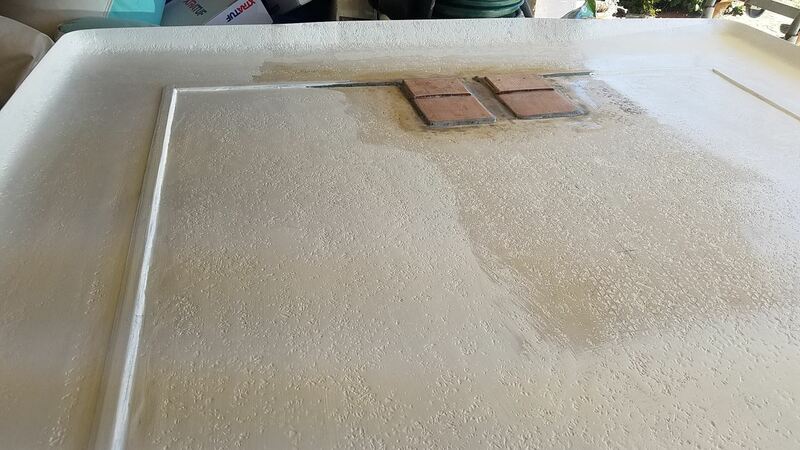 With each inch of line recovered, the optimism of the angler and his team grew. 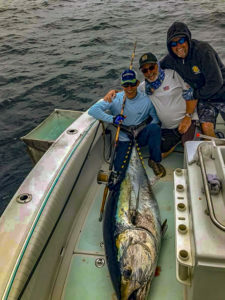 The team and angler collectively held their breath as more and more line was retrieved, until finally, they could see color and they hoisted the huge bluefin tuna into the cockpit. The celebration began long before “Flying Fish” arrived at the Green Pier in Avalon. 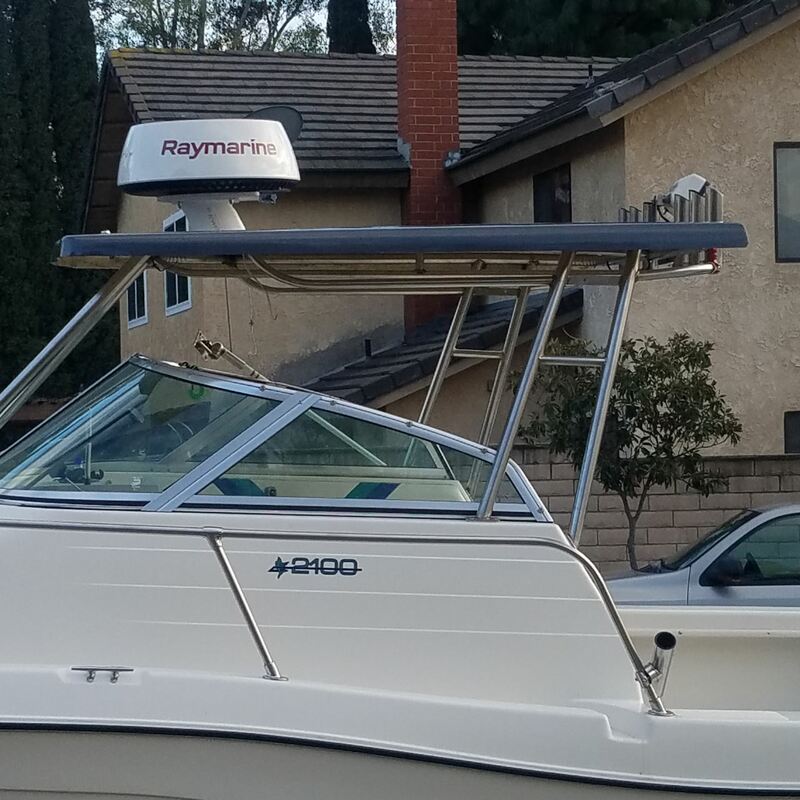 By the time the fish was hoisted up on the scale, the excitement could hardly be contained. It weighed an impressive 219-pounds — only the third bluefin tuna over 200-pounds caught on 24-thread linen to be weighed in at Avalon! 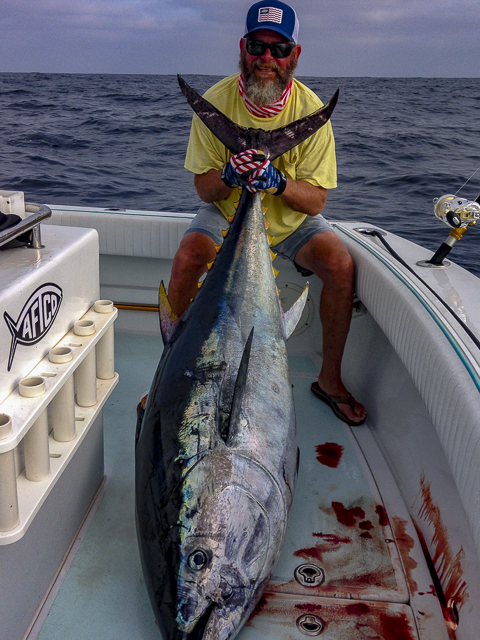 The largest locally caught tuna weighed in caught on Tuna Club regulation antique tackle since 1901! Cheers and congratulations erupted as everyone circled the team. 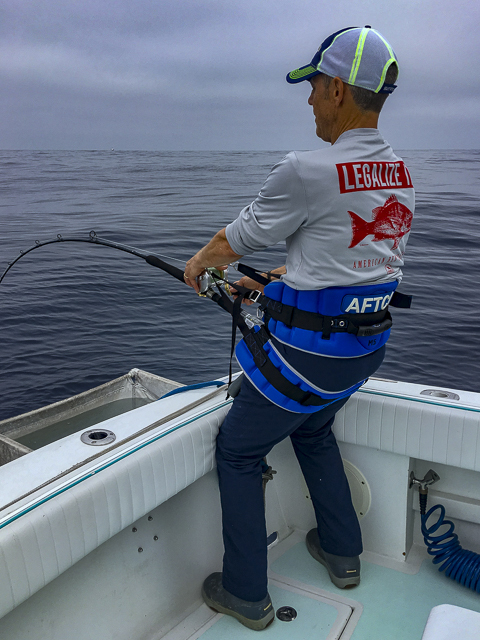 Dazed, Pfeiffer slowly grasped the significance of the catch — only the third bluefin tuna over 200-pounds caught on 24-thread linen to be weighed in at Avalon! 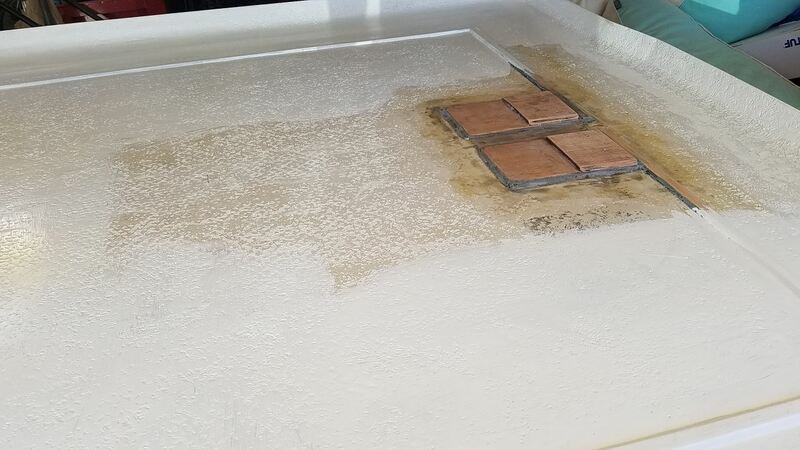 It finally sank in as he made his way back on the boat. This was a lifetime achievement; every detail would be etched in his mind forever. He and his team had succeeded! His name would forever be linked in the Tuna Club history with those of Col. Clinton P. Morehouse and Mrs. E. N. Dickerson!